Bill Monroe is credited with inventing the high energy, fast tempo, hard-edged style of country music known as bluegrass. The genre takes its name from Monroe's band, The Blue Grass Boys. 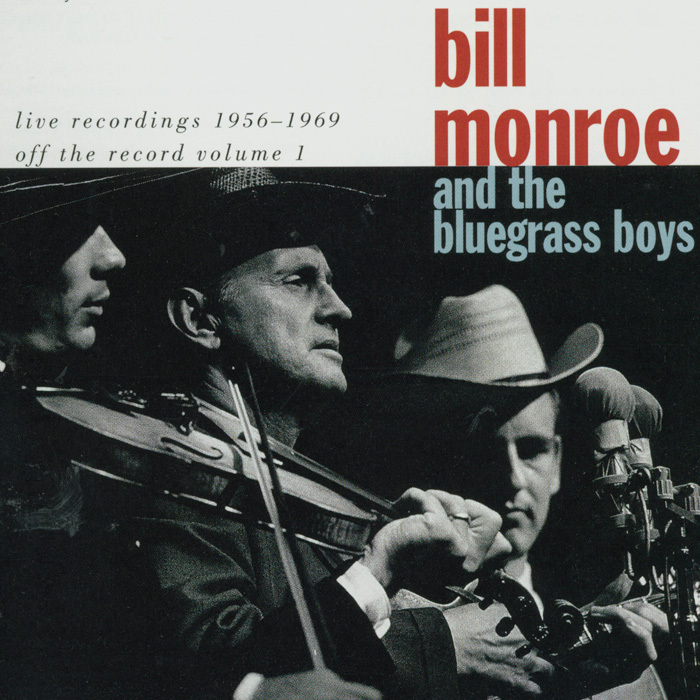 From the 1940s, Monroe and The Blue Grass Boys defined the sound and style of classic bluegrass--a five-piece acoustic string band, playing precisely and rapidly, switching solos and singing in a high-pitched, gospel tinged voice. He embodied the art form throughout the century, influencing and mentoring generations of bluegrass musicians from Flatt and Scruggs to The Stanley Brothers. He continued to tour and perform through the 1990s until his death after a stroke in 1996. Monroe was raised on an isolated family farm in Rosine, Kentucky. His earliest musical influences derived from church and social traditions. When traveling singing teachers visited the area, the local churches participated in the regional tradition of "shape-note" singing schools. Hampered by poor vision from birth, Monroe did not learn to read the music but developed a keen ear for the stark harmonies of this heritage. His talented family helped shape his musical craft. His father was a locally known step-dancer while his mother sang traditional ballads and folk songs and played both accordion and fiddle. His Uncle Pen played fiddle at community dances and brought Monroe along to play with him on several occasions. In these preteen years, Monroe perfected his guitar and mandolin skills. He credits Arnold Schultz, a local African-American railroad worker who was both a fiddler and a guitarist, and his Scottish ancestry with influencing his style. Monroe began his professional performing career in the early 1930s working with his brothers Charlie (guitar) and Birch (fiddle) in the mid-western towns around Chicago where they had settled in search of employment. By 1936, Charlie and Bill were recording as The Monroe Brothers. Then, in 1938, Monroe organized his own band, which became known as "The Blue Grass Boys." He soon made his debut on the Grand Ole Opry in Nashville, Tennessee, which launched his legendary status and served as his base from that time forward. Monroe's significance as an artist cannot be underrated: he created and continued a distinct vocal tradition known as his "high, lonesome sound" that blended Appalachian ballad and church traditions and became standard bluegrass vocal style; he developed innovative techniques on the mandolin, establishing it as a virtuoso string band instrument; and by eschewing electrification he created a space for an acoustic string band tradition to continue to grow and develop within the field of country music. Throughout his career, Monroe composed a diverse repertoire of sacred and secular songs and virtuoso instrumental tunes which have become standard fare amongst bluegrass, country, and pop musicians. Monroe was inducted into the Country Music Hall of Fame in 1970 and the Nashville Songwriters Association International Hall of Fame the following year. In 1993, he received a GRAMMY Lifetime Achievement Award and was inducted into the Rock and Roll Hall of Fame in 1997. Elvis Presley performed Bill Monroe's song, "Blue Moon of Kentucky," on the B side of his first single on Sun Records in 1954. A reporter once asked Monroe if it bothered him that Elvis had recorded a reworked version his signature tune; "Nossir," he said, "Them were some powerful checks."